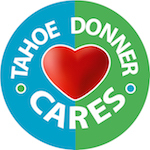 The Tahoe Donner Tennis Center offers lessons and clinics for everyone. With close to 20 hours of weekly Adult Tennis Clinics, our Certified Tennis Professionals will have you swinging like a pro in no time. Our Junior Tennis Camps and Junior Tennis Clinics offer plenty of hands-on instructions for the tennis players of tomorrow.